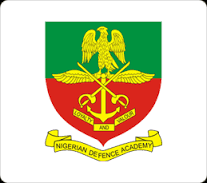 Authorities of the Nigerian Defence Academy (NDA) has released the list of candidates admitted into its various postgraduate programmes for the 2018/2019 academic session. Click here to Download NDA Postgraduate Admission List in PDF. Important Notice to all Admitted NDA Postgraduate Admitted Students 2018/2019. 1. Collect the admission letter and schedule of fees at the Postgraduate School, NDA Ribadu Campus Kaduna with effect from 18 February 2019. 3. Come along with original copies of credentials for screening at the Postgraduate School. 4. Only successfully screened candidates will be allowed to register. 5. Registration for semester courses will start immediately on 18 February 2019 and end on 1 March 2019. 6. Please note that registration will be done online. Each admitted student will be given his/her username and initial password after screening at the PG School to facilitate the online registration. 7. Students are expected to register online within the period and print-out 2 copies of Course Registration Forms for the PG School and their respective departments. 8. Any student who fails to register within the specified period shall be charged late registration fee as specified in the admission letter. 9. Lecture commences on 4 March 2019. 10. No student will be allowed to register after 2 weeks of commencement of lectures.